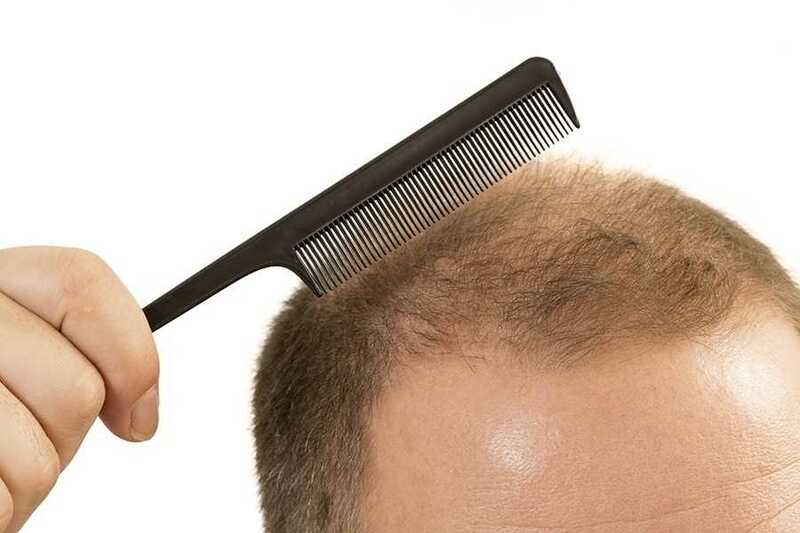 Scalp conditions can be very common, and can sometimes lead to some form of hair loss. Issues concerning the scalp can range from the everyday dandruff that’s extremely common to skin irritating psoriasis and everything in between. To help you understand what may be going on with your scalp here is a breakdown of the most common scalp conditions and how to treat them. Thought to be an autoimmune condition, Psoriasis is where the cells within the top layer of your skin are overactive, causing a red/pink scaly rash, which can be inflamed and have a silvery appearance. It can affect any part of your body, but the most common area is your scalp and hairline. This condition means that even the simplest of tasks like going to the hairdressers or even just blow drying your hair can cause you a lot of pain and irritation. Steroids may help ease this condition, or you may require injections called biologics to help keep the flare ups to a minimum. Excimer Laser Treatment may also be an option; this works by targeting individual spots that have not responded to other therapies. It’s a good idea to also take into account your daily hair routine. Keeping shampooing to a minimum and applying a therapeutic oil cream may also help. This is when your hair follicles swell and inflame. Bacteria, often due to staph infection, shaving irritation, excessive sweating or some hair dyes is usually the cause. It appears as small pus filled bumps, almost like acne. Your doctor will check if the area is infected and if it is, then topical or oral antibiotics are usually the best treatment. If the area is not infected then simply an anti-inflammatory medication, such as a steroid cream should help. Alopecia is when you suffer dramatic hair loss, which can be caused by medications, genetics, hormonal abnormalities and hair fragility. As soon as you see hair breaking very frequently and bald spots appearing it’s good to get help and have a consultation with a trichologist as soon as possible. Your doctor will want to run blood tests straight away to determine the cause of your hair loss. It could be that you are anaemic form a vitamin deficiency, have a thyroid abnormality or autoimmune issues. If none of the above applies, then stress or poor diet could be the cause. A trichologist will carry out a through physical examination and other hair conditions like Psoriasis or Seborrheic Dermatitis will be considered. Thinning due to hormonal imbalances may be treatment with a thickening treatment called Rogaine, or Spironolatone, a pill that helps block the male hormone that increases when women start the menopause. Also known as cradle cap in babies or dandruff in adults, it can cause red itchy patches that can become greasy and scaly. Worse in winter due to the change in temperature, this condition can be embarrassing. Treating the condition early is advisable, so that you avoid huge hair loss in the long term. Strong yeast shampoos can be prescribed. Ketoconazole is highly effective is treating the flaky condition, but if that doesn’t work then topical steroid creams can be used. If you’re concerned about the condition of your scalp or fear you may be suffering with one of the conditions above, it’s essential to seek help early. Our friendly, experienced professionals at the Wimpole Clinic will been quick to diagnose and treat most scalp conditions before too much damage occurs, allowing you to be free of discomfort as soon as possible. Why not book in for a consultation today?